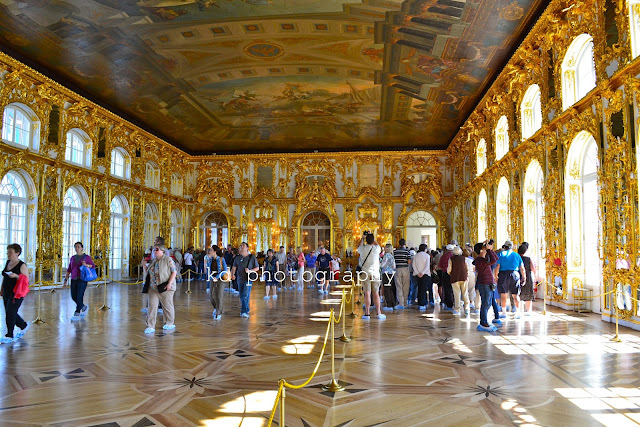 Catherine's Palace is huge. Without a tour guide, I could probably get lost in its beautiful rooms. Room after room, I found myself mesmerized with either the gold gilding or the antique collections they have displayed, each telling their stories, where they've been and how they found their way to the palace. 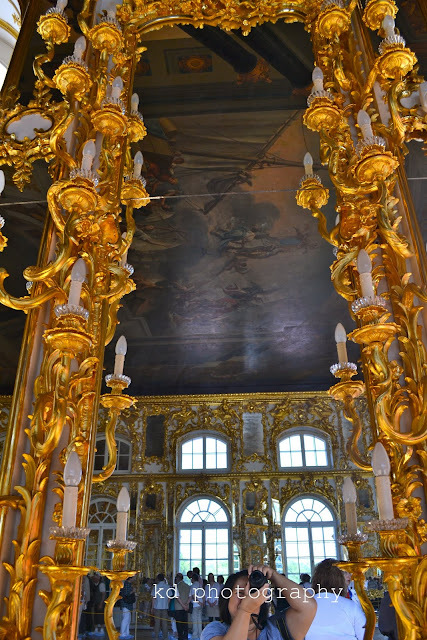 Even the palace whispers her stories through its walls, its elegant draperies, its gilded candlesticks and its parquet floors. One story that caught my attention is how much of this palace is a result of present day restoration. The palace was bombed during the Nazi occupation therefore leaving most of the palace in ruins. Restoration experts have to build this palace from historical photos and paintings in order to restore it to its former glory and to get it to its grandeur today. Do remember that Russia came under Nazi invasion and at that time, a lot of the palace was bombed and destroyed. These two Cherubins are originals while the rest of the Grand Hall was restored by carefully looking at the photos and paintings from the archives. 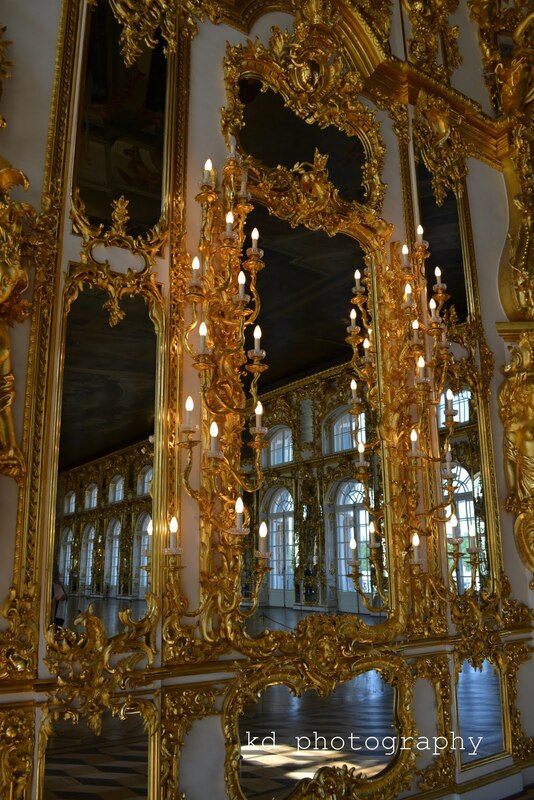 Gold and mirrors at the Grand Hall. The amazing Grand Hall. The floor is covered with wood parquet. If you've noticed, visitors must wear booties to protect the floor. 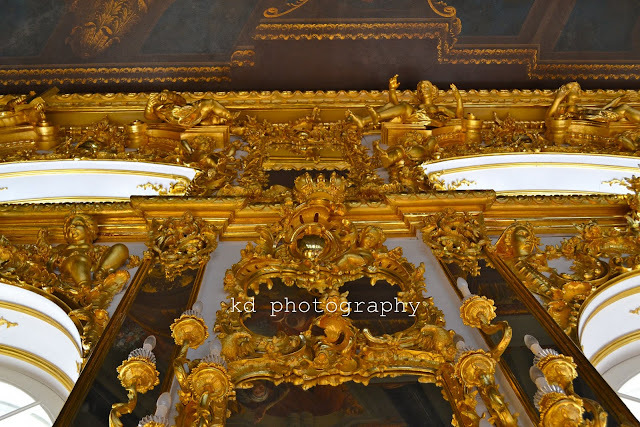 Details of the gilded wall decorations. An upward view of the room's intricate designs. 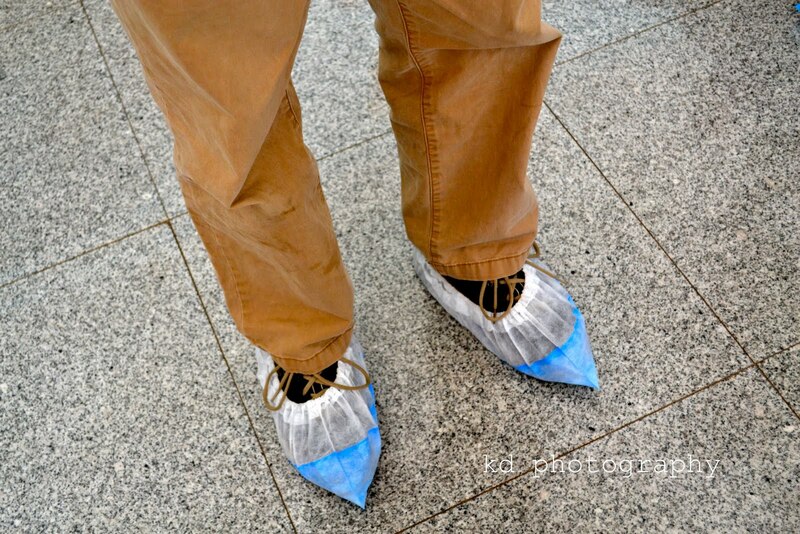 Booties to protect the palace's flooring. End of the Dining Hall and entering another grand room. 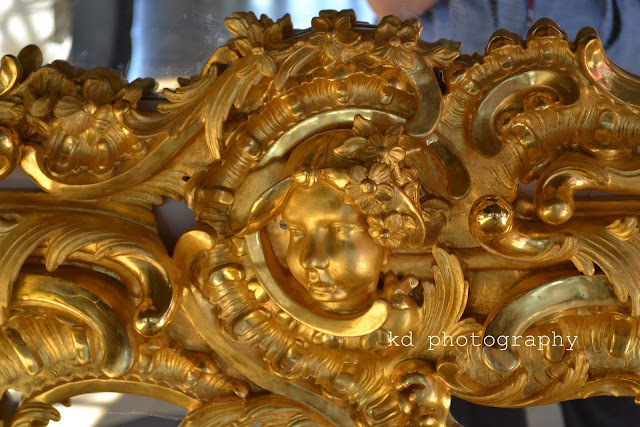 @ upto6only, they're gold (real) gilded every three years. it's really lavish. restoration is a serious undertaking. they have done marvelous work here. In my professional opinion, over the top and gaudy. Way too much. 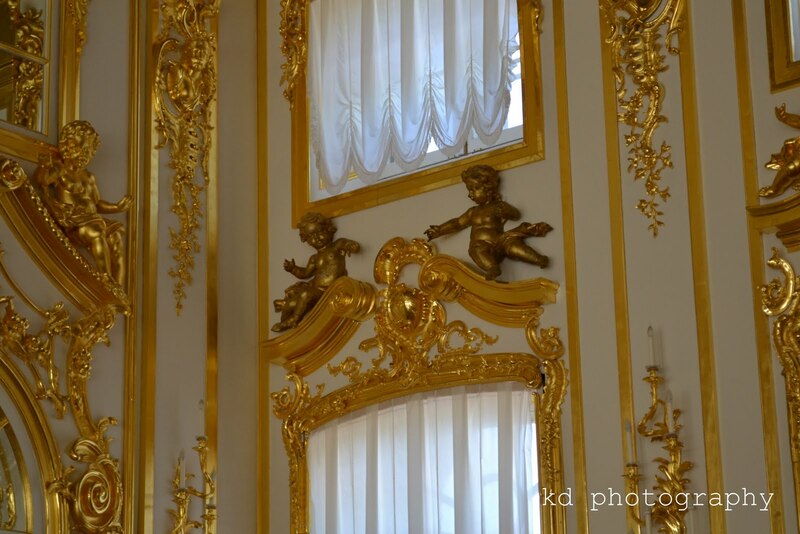 I posted on my blog about the Palace last month. Different opinions makes the world go round. All those are real gold? I am so impressed at the intricate designs, knowing gold is a hard thing to design. 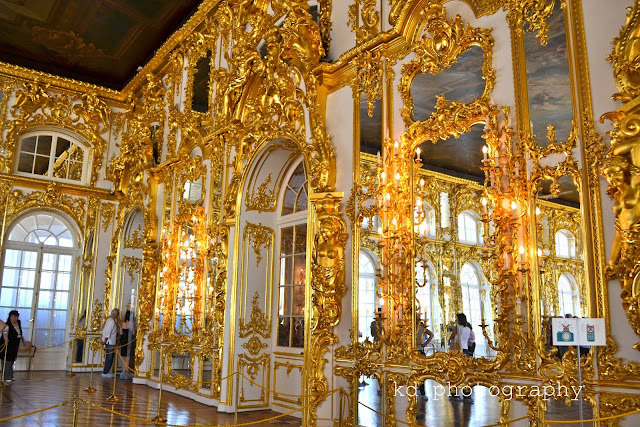 Too much gold and too gaudy aside, I always find it reassuring to know that there are actually places in the world where they take the task of restoration quite seriously. Sadly it is something we lack in this country. that place is amazing! i don't think i have ever seen that much gold in a room before haha the booties are really cute too hahaha!